What really goes on behind the scenes at your favorite concerts? 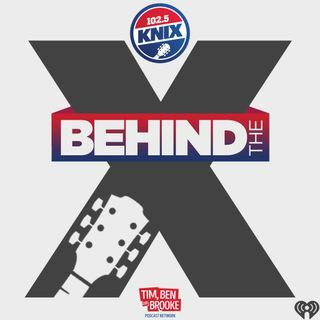 The staff of 102.5 KNIX tells stories from their best and worst moments backstage with some of the biggest stars of both pop and country music. Double - LL reveals which country artist she kissed! Behind the X was recorded Recorded Thursday November 8, 2018 with Tim, Ben, Brooke, Hannah, Double-LL, Reid and Barrel Boy.